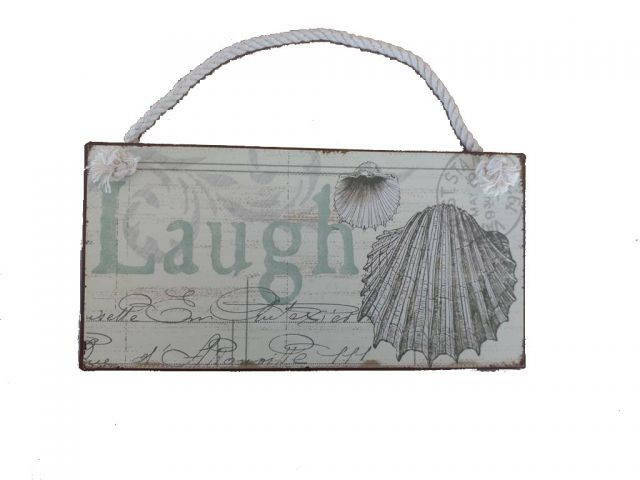 Feel the cool, crisp ocean breeze blow in off the Atlantic, the tolls of harbor and ship bells ringing out through the misty morning, and enjoy Handcrafted Nautical Décor's enchanting Nautical Themed Signs. Adorn your home with classic seafaring style, add to your collection of charming nautical treasures, or place this Tin Laugh Sign 8" aboard your very own vessel. With the perfect Nautical Themed Sign express your love of the sea, the freedom of the open ocean, and the timelessly serene ambiance of nautical life.